Analysts polled by Reuters had forecast August annual increase in the consumer price index at 3.86 per cent. Mumbai/ Bengaluru: Annual retail inflation eased to 3.69 per cent in August from 4.17 per cent in July, the statistics ministry said on Wednesday, helped by a smaller rise in food prices. Analysts polled by Reuters had forecast August annual increase in the consumer price index at 3.86 per cent. "The August inflation number is in line with our expectation. Falling domestic currency could accentuate the impact of rising oil prices on inflation. We expect this double-whammy of weakening rupee and rising oil prices to exert upward pressure on inflation in the coming months. The recent surge in core inflation is primarily driven by rising costs of housing and transportation. We expect core inflation to remain sticky in the coming months due to rising transportation costs. In Q2, we again expect inflation to undershoot MPC's forecast of 4.6 percent by 50-60 bps. Hence, we expect central bank to hold rates in October. We do not subscribe to the view that policy rates should be hiked to support falling rupee." 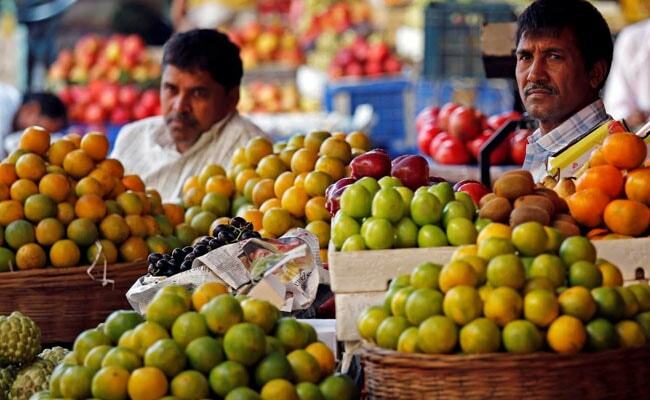 "Soft food and vegetable prices due to good agri produce has led to lower-than-expected inflation. I think RBI will take up a wait-and-watch policy when it comes to a rate hike. The key risks to inflation would be the rise in energy prices globally and the rupee depreciation. The factor RBI will be looking out for is inflation during the festive season. So maybe, we'll see another set of IIP and CPI numbers before RBI makes a rate hike call by around 25bps. We expect it by the end of this year or early next year." "Inflation came in line with our expectations. A seasonally weak period for food inflation helped to offset the impact of rising fuel/transport costs. High global oil prices coupled with a weak rupee have sent domestic fuel prices to record highs. As the early-October RBI review nears, expectations are building for a hike. Despite inflation slipping below the medium-term target of 4 percent, if the rupee remains under pressure, the RBI might be forced to hike rates citing risks to inflationary expectations, given its price stability mandate and second order impact of a weak currency. We have built in a likelihood of a 50bp hike in rest of FY19." "While weakness in the rupee adds to the upside risk, factors such as still sanguine domestic food prices and moderation in global commodity prices (excluding oil) is likely to provide some relief. Annualised core inflation prints will inch lower hereon, mainly on account of supportive base. However, sequential prints may not ease significantly due to fuel price rise and rupee depreciation. CPI inflation has so far remained well within RBI's projected trajectory. However, concerns are building with respect to rupee depreciation and a rate hike could provide some support to the currency. The bond market has started to price in rate hike with the swap markets now pricing in 75 bps hike over next 12 months. In this backdrop, in order to maintain financial market stability, should the rupee fail to stabilize, we do not rule out 25 bps repo rate hike in October policy review."